Confession: I’ve always wanted to have a “Mom & Me” matching outfit. Maybe not an EXTREME matching outfit, but I’ve longed for the days when my daughter and I will be wearing some sort of matching item. One article of clothing we are ALWAYS wearing around the house is socks. We love our socks in my family, so I decided to bring back the seventies with all that tie-dying action and make it work for a new pair of socks for me and the little miss. 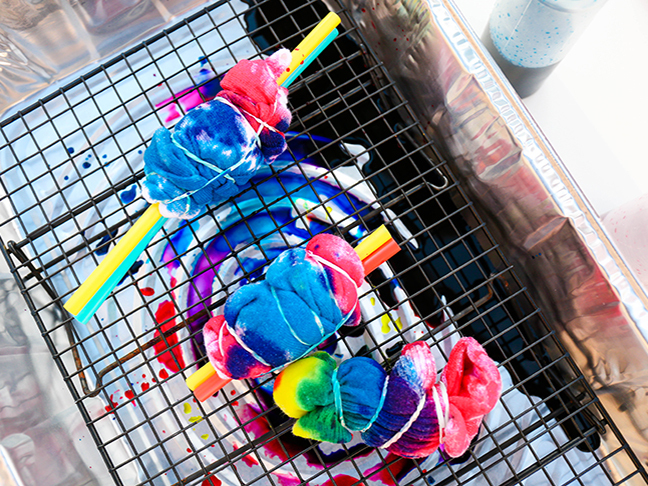 Remember tie dyeing when you were younger? I do, and I remember it being a big ordeal. It turns out, it’s so much easier than I remember. 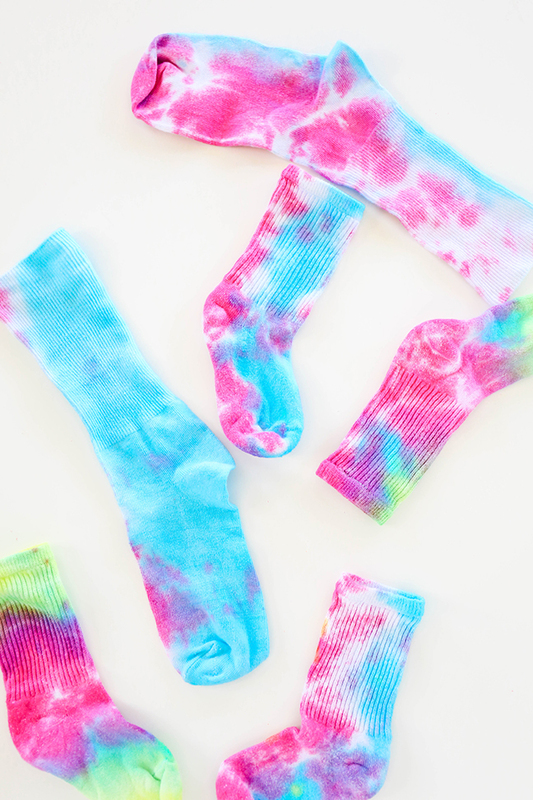 Here’s how to tie dye at home, and how we had a blast dyeing these tie dye socks together. Step 1: Place two socks next to each other and place two straws on top. 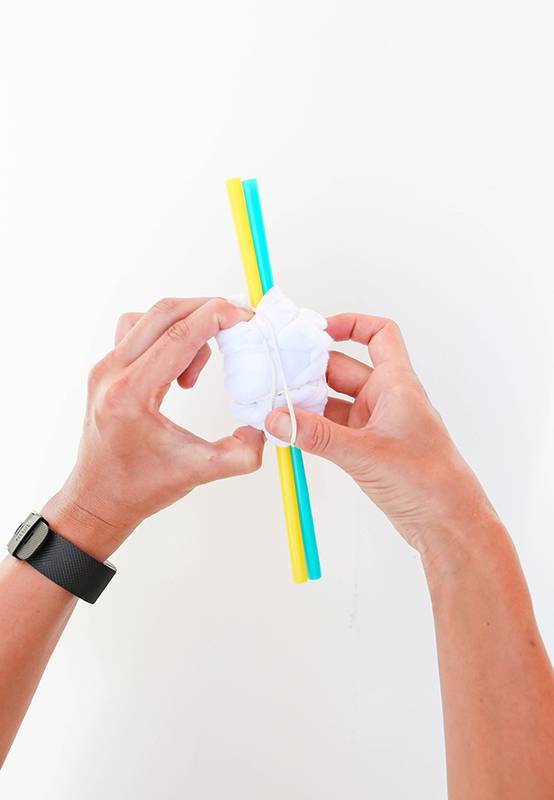 Step 2: Gently roll the socks around the straws. Step 3: Once the socks are rolled, scrunch them up and wrap three or four rubber bands in different directions to help keep things nice and tight. Step 4: Add some powdered dye into each squeeze bottle and fill with ¾ cup of water. 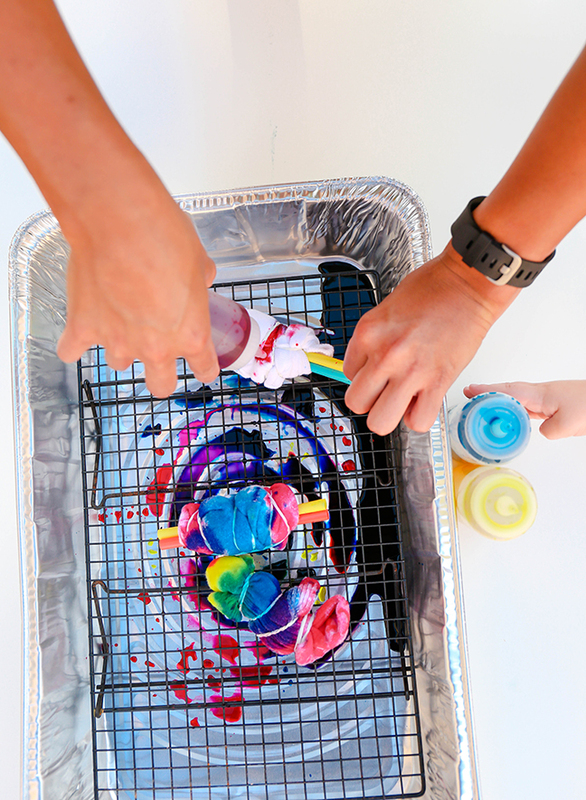 Place the squeeze bottle cap back on, and shake the bottle well to mix the dye and water. Step 5: Add the dye to the socks. We chose to make our matching pair just pink and blue. To get a “Shibori” effect, add the dye in blocks. Start at one end and squeeze a little bit of dye onto the fabric. 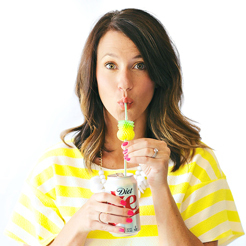 Move over an inch or two and add a different color dye. Move over another inch or so and then add a third color, or a repeat of the first. Step 6: Be sure you’ve added the dye all the way around the socks. 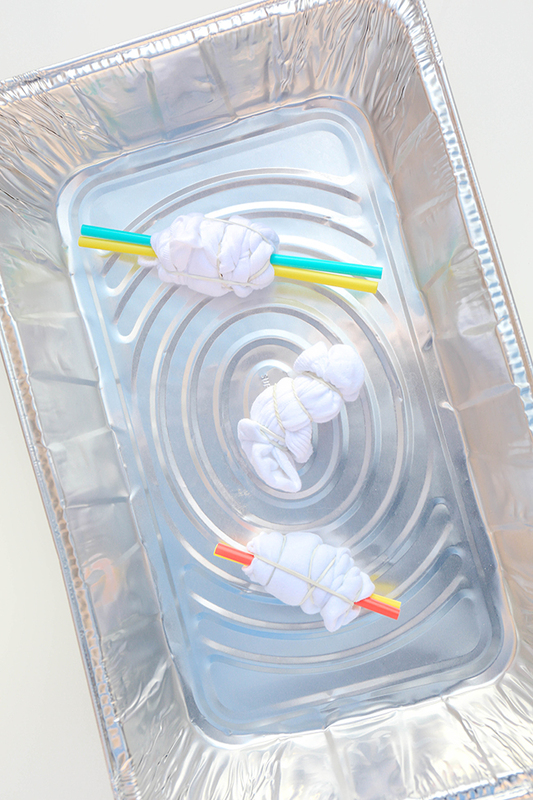 Use the straws to rotate the socks to help keep little hands dye free. Step 7: Wait one hour (longer for more saturated colors on the fabrics). Step 8: Rinse the color from the socks in hot water until the water runs clear. Gently wring the socks out and cut the rubber bands off. Step 9: Run the socks through the wash on the hottest cycle. Wash and dry them separately for the first few washes to avoid any color bleeding. Step 10: Put those socks on and walk around the house admiring your cute and matching feet! You can totally match your toddler in a non-tacky, non-cheesy way. Tie dye for the win!